In the wake of Superstorm Sandy, and with stories of school violence in the news regularly, Stony Brook University is taking steps to be prepared. 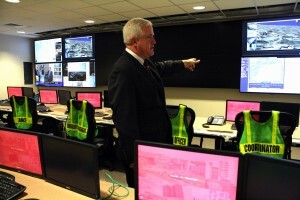 Stony Brook’s Chief of Police and Assistant Vice President of Campus Safety, Robert Lenahan said he viewed the events of Superstorm Sandy as a learning experience for the school’s emergency management team. 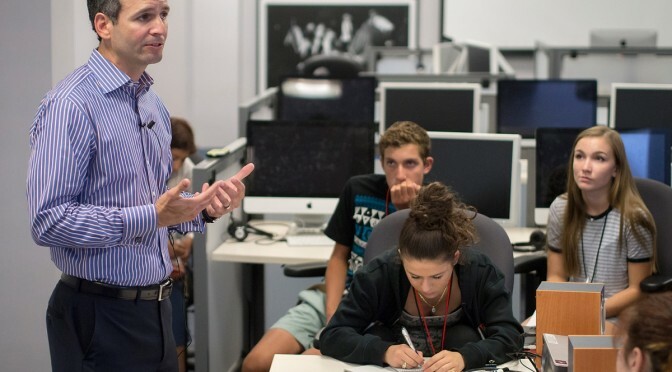 The new $240,000 facility has been equipped with the latest technology to help Stony Brook get “a little better in terms of enhancing technologies,” Lenahan said. 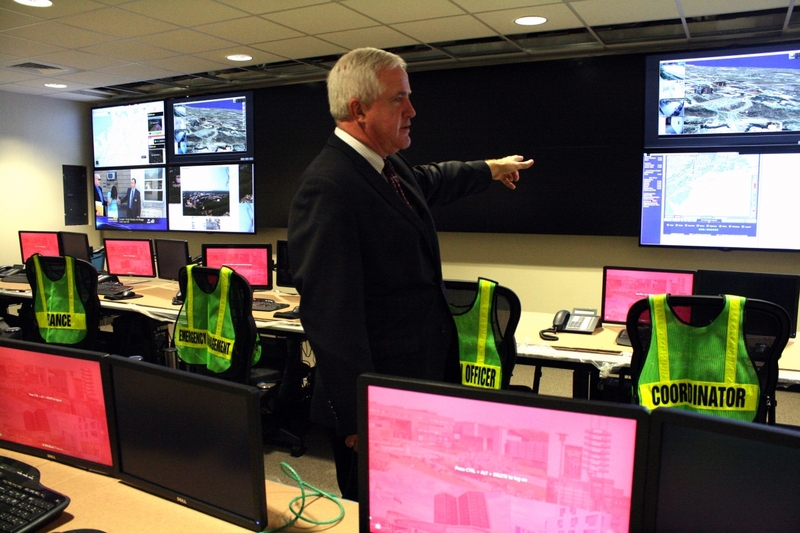 Among the upgrades from the previous Emergency Operations Center, all security cameras on campus have been integrated into the new system. Integrating the cameras allows not only for a simpler, unified system, but for advanced capabilities as well. These security cameras can be mapped, as GPS technology has been installed. “We can basically track our campus buses,” Lenahan said. 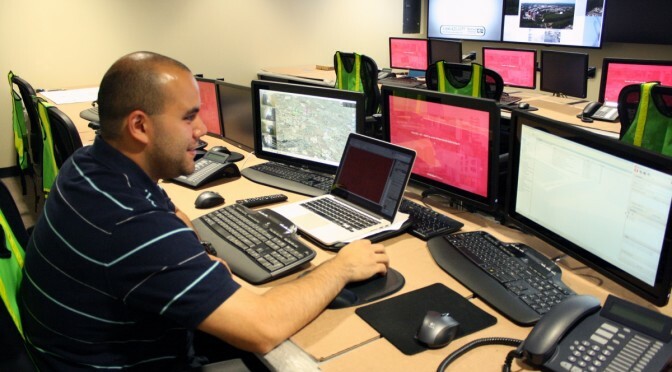 Cameras outside of the campus’ system – even throughout Suffolk County – can also be accessed through the Emergency Operations Center. Technology related to utilities on campus has also been installed, Lenahan said. The center, fully funded by the university, can also serve as a secondary location for the Town of Brookhaven’s emergency responders. While the town has no plans to use the campus’ center at this time, according Brookhaven Communication Director Jack Krieger, Lenahan said the invitation’s open. When Wendy Fang talks about her expectations for the first Stony Brook University Camp Kesem, a weeklong getaway for children who have had parents who struggled with cancer, she describes the impact the disease can have, even on adults. 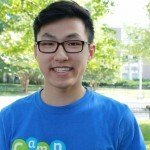 Fang, 20, a rising senior at Stony Brook University, will be one of 23 counselors and four administrators creating a week, from Aug. 10-15, of fun and memories for 50 to 60 Long Island children, ages six to 16. Kesem campers will be at Camp Candlewood on a lake in New Fairfield, Connecticut, just over the New York line. The Camp Kesem website explains that children of cancer patients are often overlooked and cannot receive much attention, so the counselors here help give them the attention they need with a 3:1 camper to counselor ratio. 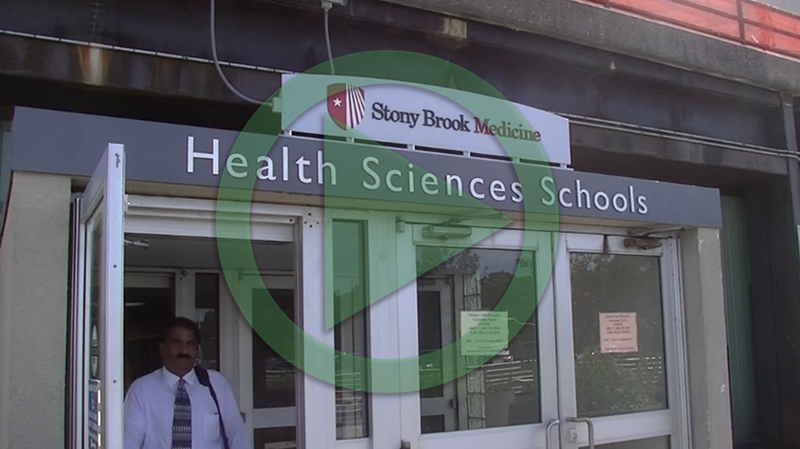 The Stony Brook campers are the children of people being treated for cancer at Stony Brook University Hospital, as well as other medical centers throughout Long Island. 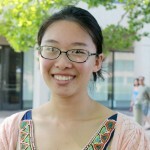 During that week, Fang, a biology major who is on a pre-dental track, will be known as Sunshine. Counselors as well as campers pick a fanciful name for themselves for use during the week to leave the reality of home behind. 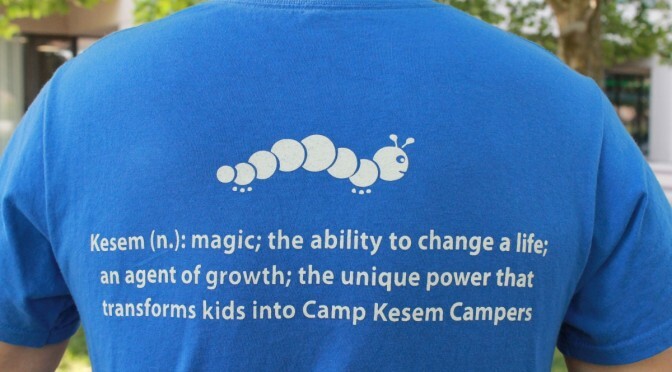 Camp Kesem was started in 2001 through a Hillel organization at Stanford University in California. Although Hillel is a Jewish organization, the camp is secular, serving children from all walks of life. 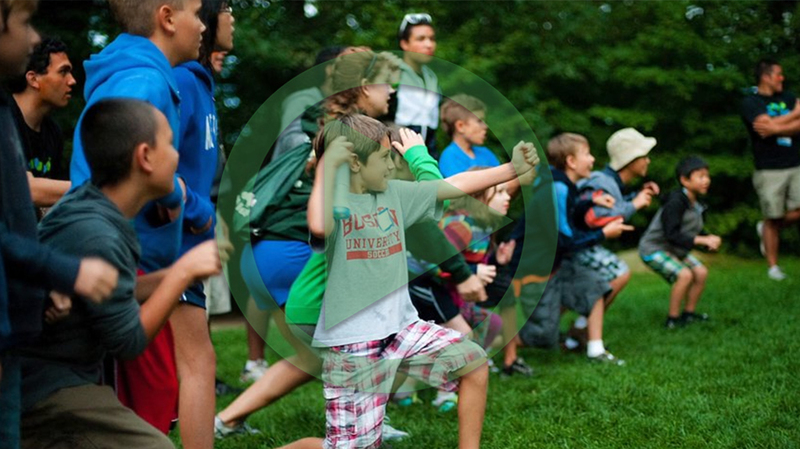 This camp is nonprofit and the campers come for free, which means the counselors must fundraise throughout the year for things such as food, games, and equipment. The idea for the camp came from a therapist who works with the families of cancer patients at Stony Brook University Hospital who suggested Camp Kesem as a project. 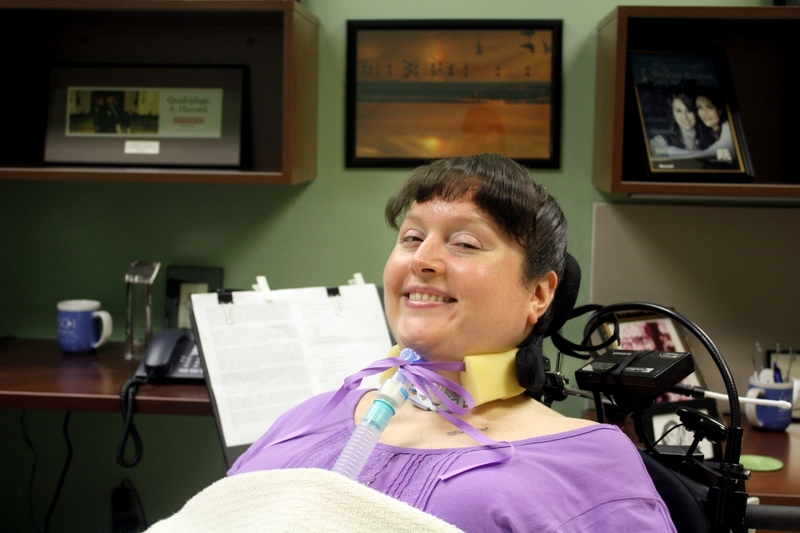 With her encouragement in 2013, a group of students at Stony Brook University applied for and won a $10,000 grant from the Livestrong Foundation, which provides support for people affected by cancer. The name Kesem comes from the Hebrew word for magic. 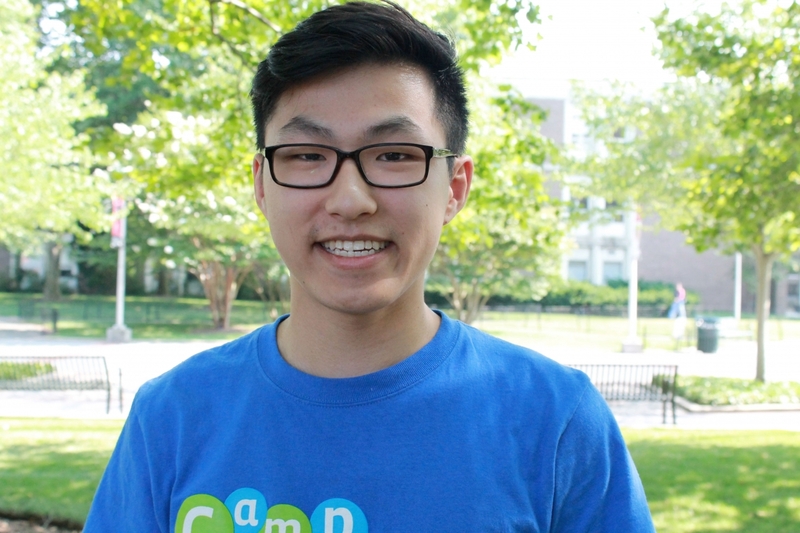 “Camp Kesem is magic, and I really believe in that because in a sense we are kind of bringing magic to these children’s lives,” said student counselor Alex Fu, a rising senior who will be known as Snap. During the year, the counselors have prepared for the week in several seven-hour training sessions on lighthearted things like camp songs, camp games and camp cheers, as well as the more serious issues that can confront this group of kids, like cutting, eating disorders, child abuse and suicide. Counselor Ruchi Shah, 20, a rising junior, will be known as Giggles. Shah is known around campus as that woman who developed a mosquito repellant that is inexpensive and can help fight malaria in tropical zones. Shah now works in a cervical cancer lab, and has come to see the value of experiences like Camp Kesem. The counselors keep the magic alive by jam-packing the week with fun activities with the kids. This camp may be for children with struggles at home, but it is meant to be fun, not therapeutic. “I hope the kids take away from it, really learning that even though they have a hard situation at home, that it’s OK for them to let go and have fun and have a week of their summer just being kids” said counselor Brittany Stapelfeld, also a rising senior at Stony Brook. The first day of camp, will be Fang’s 21st birthday, as well as her first day as a counselor at Camp Kesem. 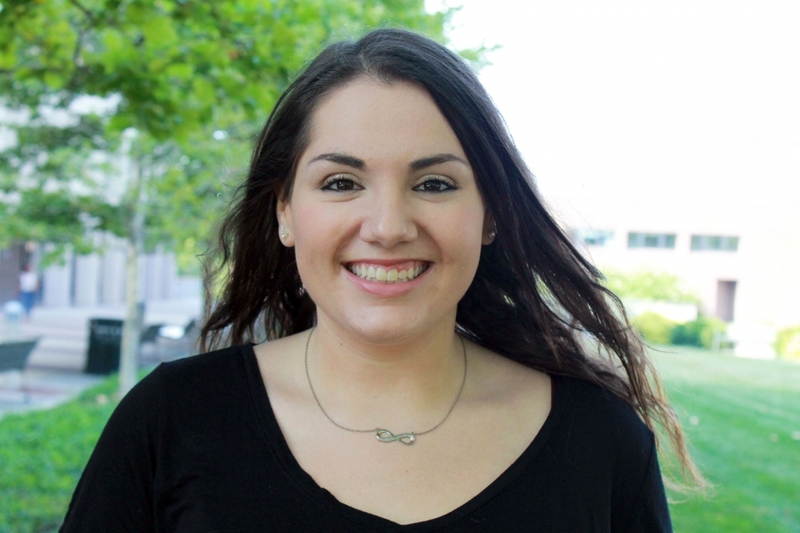 Stony Brook wants to help its commuter students stay safe and be better neighbors. The Office Commuter Student Services has added “and Off Campus Living” to its name and its mission. 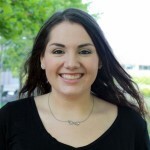 “I really want my students to be educated about the process and understand legal means, what it takes to be a good neighbor and how to respect their community,” said Assistant Director Emily Resnick. She and her staff offer services and resources to about 6,500 commuter students on everything from staying safe, being a good neighbor and finding housing. The response from commuter students has been positive, Resnick said, adding that a tenants rights workshop her office hosted with an attorney last semester drew 80 students. One former commuter student said he embraced the new services. 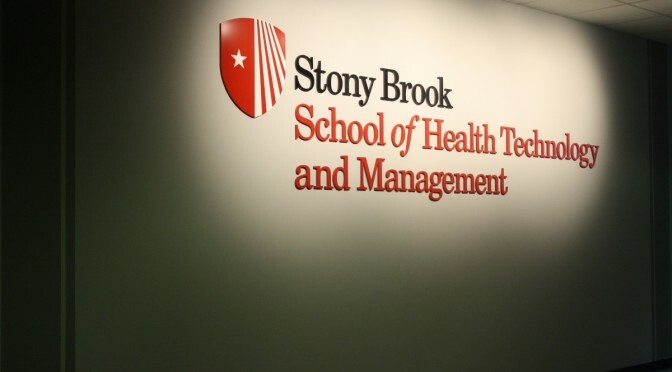 A new center at Stony Brook University will help surrounding underserved communities improve health and education, build capacity to tackle community-based challenges and put food on families’ tables. The new Center for Community Engagement and Leadership Development brings together faculty from across the Stony Brook campus to work on community-based projects that can best be addressed from a multidisciplinary approach. 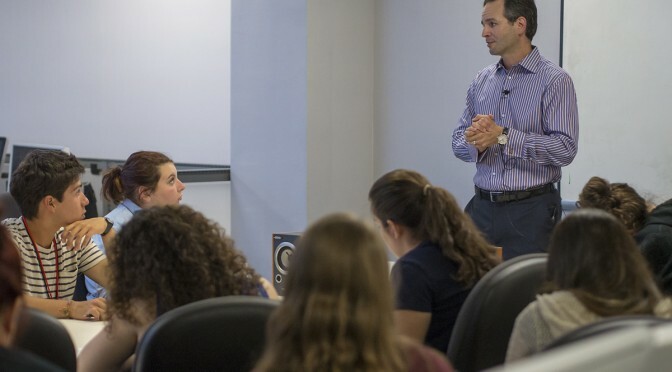 “The Center for Community Engagement Leadership Development is meant to be a bridge between the university and the community,” said Assistant Director Casey McGloin. The main focal points include community engagement, helping communities to reach their goals, engaging in community based participatory research, and establishing a pipeline of researchers dedicated to this work. The team is led by Associate Dean Carlos Vidal, Ellison, McGloin, Educational Specialist Erik Flynn and Program Associate Jennifer Mesiano Higham. The center will be housed in the School of Health Technology and Management. The Center for Community Engagement and Leadership Development has several important goals designed to work toward meeting its mission: service learning, leadership development and research. Select activities of the center include the Health Careers Academic Readiness and Excellence (HCARE) and HCARE HStem programs, which exposes high school students in Wyandanch, Brentwood, Amityville, William Floyd, and the Sovereign Unkechaug Nation to the allied health professions. Faculty and staff from the center travel to these schools and communities and assist students with SAT preparation, college applications, applying for financial aid and anything else that could improve their future educational careers. The center also provides a Distracted Driving program to curb motor vehicle deaths among youth. Another program is a campus-based food pantry launched last year and co-founded by McGloin, which provides food to members of the Stony Brook University community who are in need, or are food insecure. 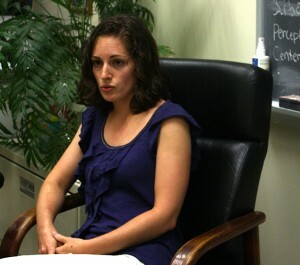 The center also works with the Town of Islip Youth Bureau to survey middle school students’ needs. The center is proposing to conduct an evidence-based, consumer satisfaction survey of Suffolk County residents on their experiences with the Suffolk County Police Department. The center has invited representatives from Long Island Native American tribes to begin discussing and exploring the possibility of developing a Long Island Native American business incubator. 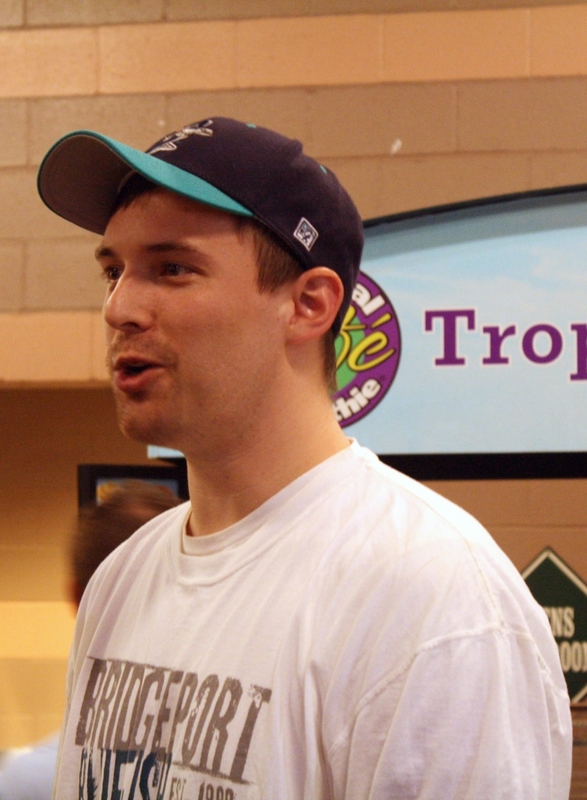 “Many Native American Tribes have difficulty getting loans,” McGloin said. 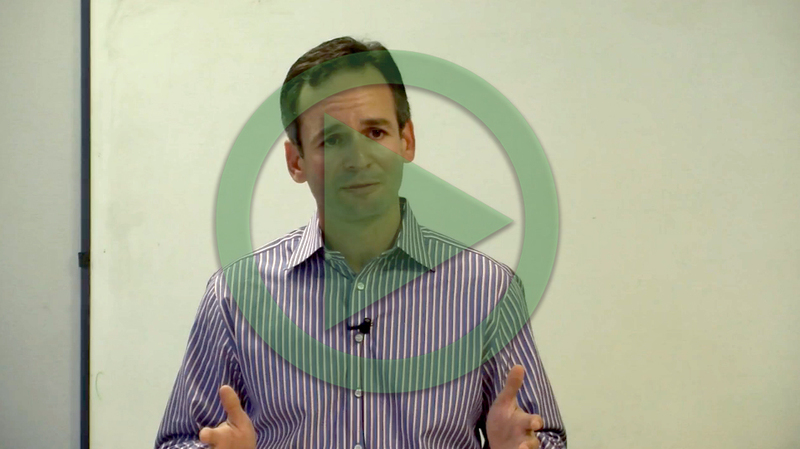 Business incubators often can offer services like leadership training and space for entrepreneurs who are interested in developing new business ventures. 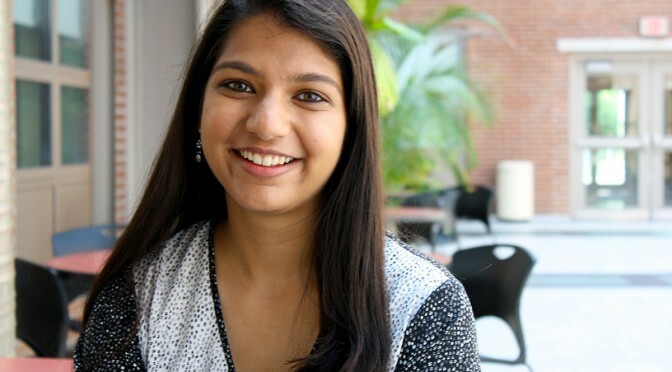 At 20 years old, Ruchi Shah has achieved more than many people do in a lifetime. A junior biology major at Stony Brook University, Shah has participated in a Forbes Women’s Summit, already given a TEDx talk, and secured provisional admission to medical school. Shah said her journey began with little more than passion and high school-level science equipment to go on. 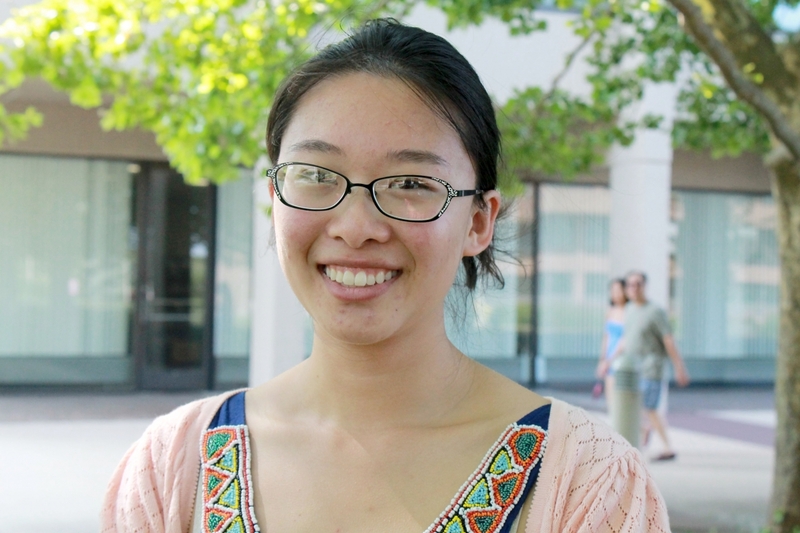 With the help of mentors, she developed and now plans to market a low-cost, all-natural mosquito repellent that she hopes will bring about global change. Shah said despite how far she’s come, she feels like she’s only beginning. “I’m nowhere near being done,” she said. The incoming freshmen class won’t be the only new fleet on campus this fall. 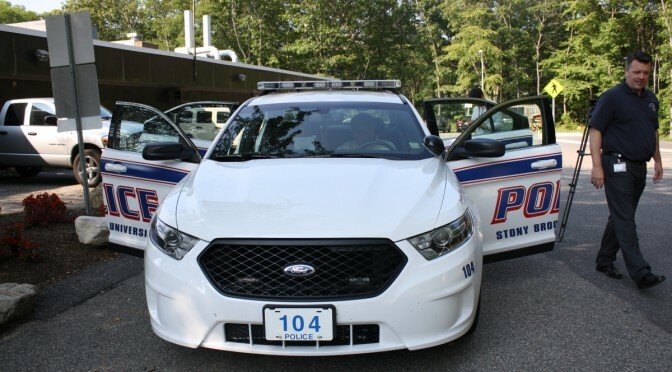 In the last month Stony Brook University Police has bought two new Ford Police Interceptors to replace the older Ford Crown Victorias, which were discontinued two years ago. 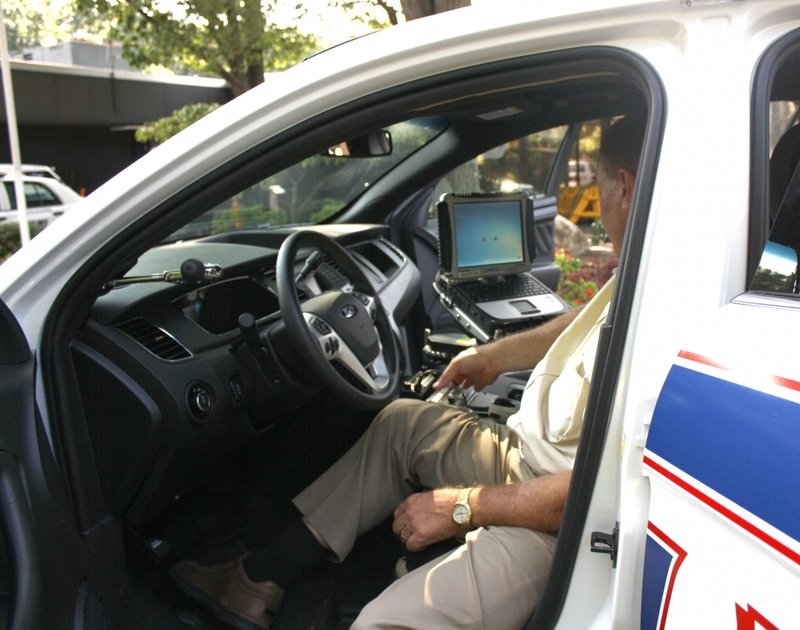 The “police package” includes a larger engine, transmission and suspension, as well as more safety features that are not included in the regular sedan. The Ford Police Interceptor is 75 mph rear crash tested and officers sit behind Level III ballistic door panels, according to Ford. The door panels are built to fit the Level III Ballistic Resistance of Body Armor NIJ Standard, which protects against a high-powered rifle and threats which are not as great. According to the university 2013 Clery Report, there were 73 crimes reported on campus, 39 in residential facilities and 2 off campus; the most common crime reported was burglary in 2012. Each car can price out differently but the base car is about $30,000. Enhancements such as stripping, computer and emergency equipment, sirens and lights all have to be put on separately which costs several thousand dollars. 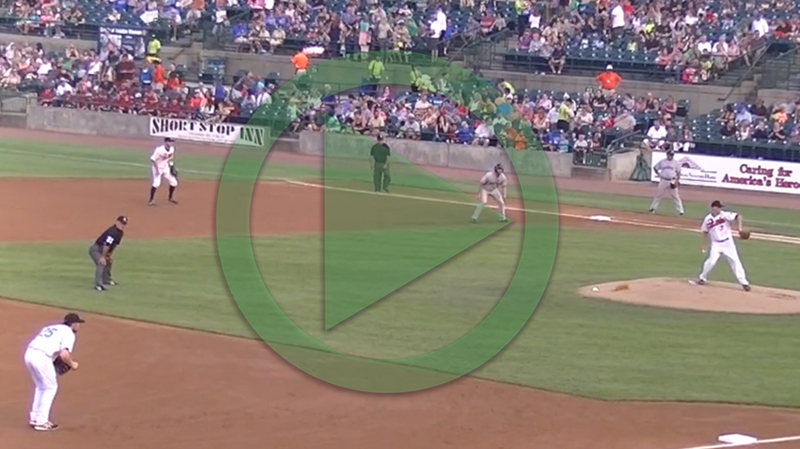 The Long Island Ducks faced another loss on Wednesday, July 23 to the Connecticut Bridgeport Bluefish. This is the eleventh consecutive loss for the Ducks this season, a trend that started on July 9. The team lost 11-3, which clearly does not help the spirit of the Ducks fans. “The Ducks need a win soon.” Schneider is constantly with the crowd. Therefore, he gets an inside look at the crowd’s reactions to the game. Another loyal fan of the Ducks, Michael Heeren, 13, from Long Island, expressed his worry. “If the Ducks lose 10-plus games, I might be a little concerned if the Ducks are going to make it to the playoffs or not,” he said. With the loss last night, the chances of the Ducks making it that far are growing smaller. There are eight more July games for the Ducks, all of which are away. In August, there are 29 games, 16 of which are home. Many students find school difficult. Managing the many different facets of receiving an education is hard enough when you are perfectly healthy, but imagine trying to do all of that while fighting a life-threatening disease. It may seem like an impossible task, but that is exactly what the 39 students who were honored at The Daniel Brooks Memorial Educational Award for Students with Cancer reception and celebration did. 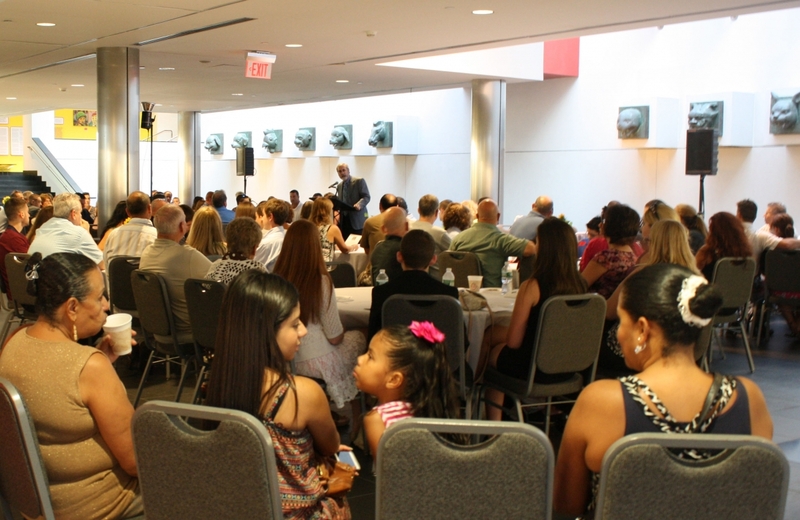 The reception, held July 22 at Stony Brook University’s Charles B. Wang Center, commemorated cancer survivors who were treated at Stony Brook Children’s Hospital, successfully graduated high school and were on their way to college. The event was created in memory of Daniel Brooks, a leukemia survivor who was struck and killed by a car in 2002. 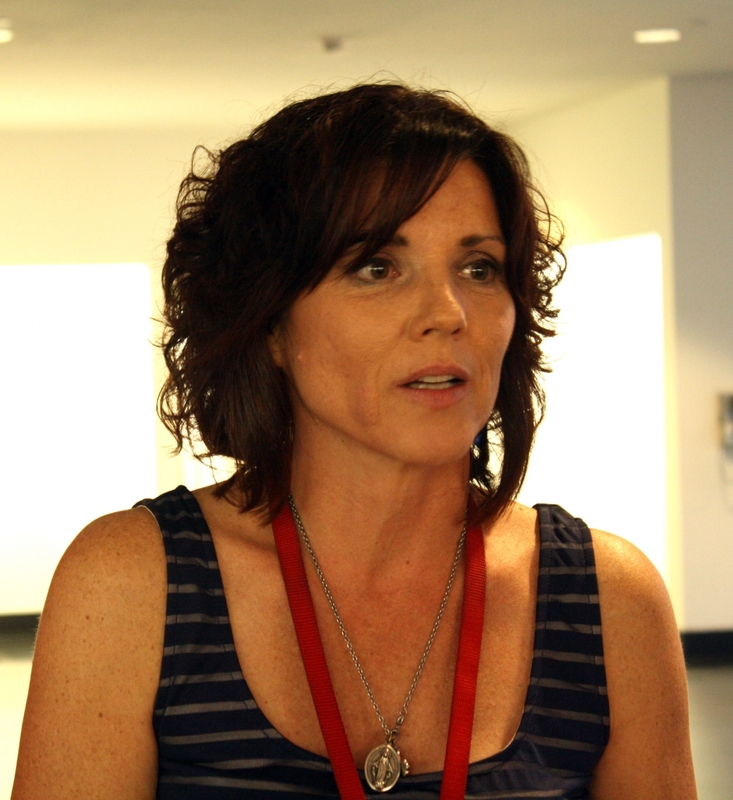 The event, created in honor of Brooks, was planned by parents whose children were treated for cancer at Stony Brook University Medical Center. “Early on, we met a great group of parents and we realized that one of the most important things for our kids was to get them back into school,” said Giugliano. “We have to plug them back, we have to get them into school, and we have to help support that.” She added that the parents wanted to be proactive and help the cause. Those who were involved with taking care of the cancer patients started going out to schools and tried to provide information about the children’s medical needs, how their disease and illness impacts their education and what the community can do while the kids were missing school and staying at the hospital. They wanted to publicize the medical and financial burden the families and the students faced, hoping to give the patients their necessary care. The reception is centered around celebrating the accomplishments of those being honored. It also serves to acknowledge the courage, strength and perseverance of the survivors, organizers said. “We realized that one of the most important things for our kids was to get them back into school because as they dealt with childhood cancer, they were on treatments for long periods of time,” Giugliano said. The program’s number of graduates has skyrocketed over several years. In the first year of the program, there were four recipients of the award. This year, there are 39. So far, $195,000 in scholarships has been awarded to the high school graduates. The amount of the scholarships varies each year depending on how much money the program raises. 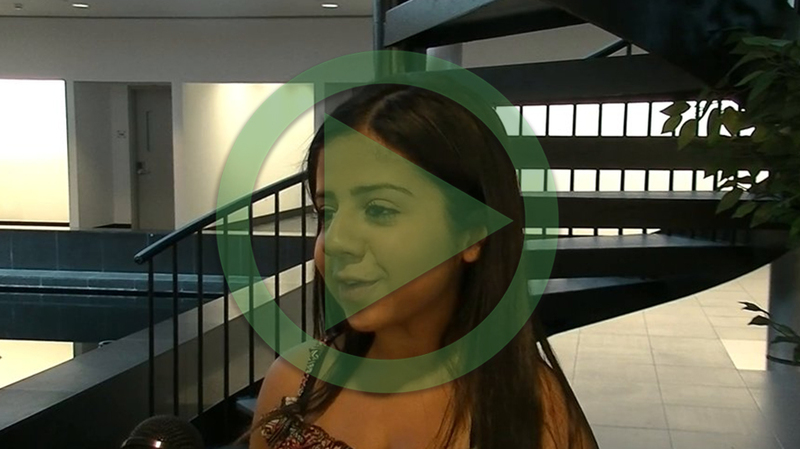 Maria Garcia, 18, is a cancer survivor who received scholarships from this program. Garcia had rhabdomyosarcoma, a cancerous tumor that develops in the body’s soft tissues, usually the muscles. From age two to age six, she received treatment such as surgery, chemotherapy and radiation. Garcia continues to get checkups to make sure she stays cancer-free. Garcia is now is a healthy, full-time student and works. She said she would like to become a nurse and help other cancer patients get through the tough recovery process. Baseball has always been America’s pastime but is it still the kids’ favorite pastime? Will kids put down their electronic devices long enough to watch the game in front of them? 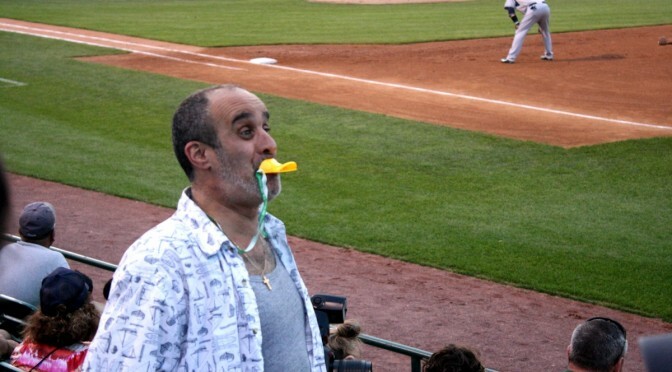 For a July 23rd Ducks game at Bethpage Ballpark, there were families of all ages. Kids wore baseball gloves on their hands and baseball hats on their heads. For some, this was their first Ducks game; others had been there before. Kids had foam fingers on their hands, quackers in their mouths, and smiles on their faces. 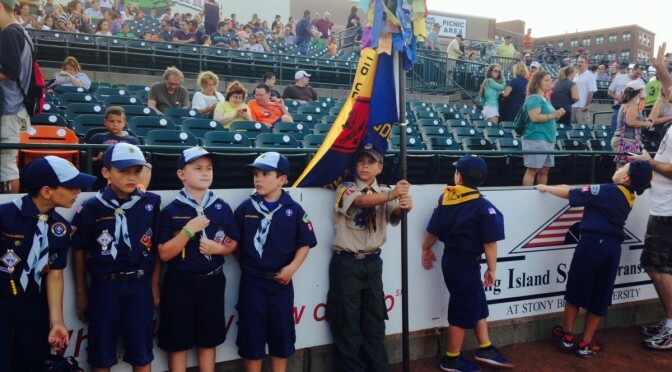 Little League teams, Boy Scouts, and Girl Scouts attended the game. 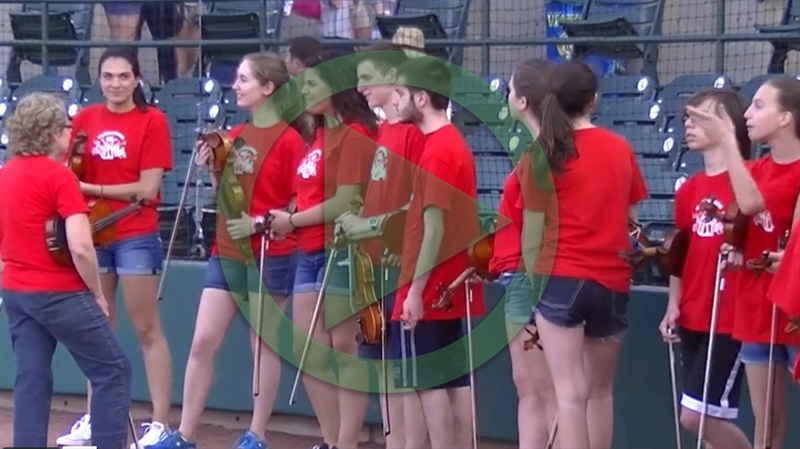 The Metro-Gnomes, a youth violinist group, played the Star-Spangled Banner. As they played, fireworks exploded overhead. Some fans came more for the sport than for the entertainment at the park. 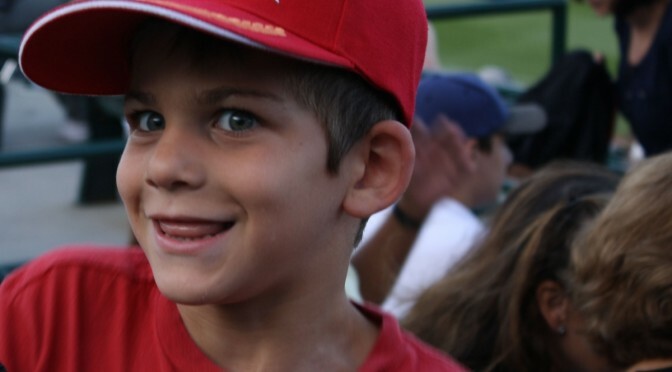 “My favorite thing about playing baseball is being with my friends,” said Brandon Vlacancich, 13. “It’s a fun sport to play.” Chris Mchugh, 8, of Commack, added: “My favorite thing about coming to a baseball game is the home runs.” A shortstop and pitcher for the Commack North Little League team, Chris said he also believes baseball is still America’s pastime. Tom Hazell of East Islip, an outfielder who cited baseball’s worldwide popularity, said he really enjoys participating in the sport. “My favorite thing about playing baseball is just playing because it’s always fun.” he said. Still, other fans study the professional players to improve their own skills on the diamond. ”I like coming to a Ducks game because it helps me learn baseball,” said Patrick McNelis, 13, who said he thought baseball was still popular. 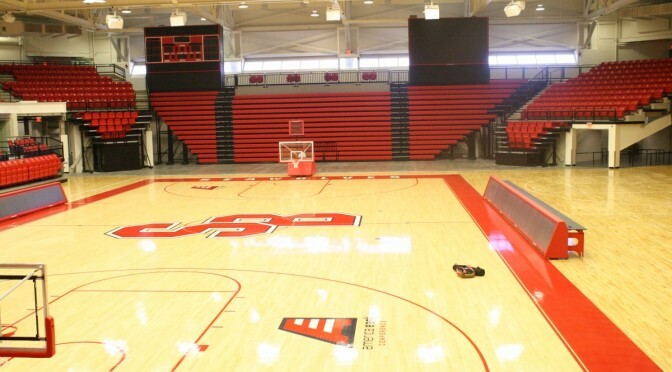 As summer is quickly coming to an end, Stony Brook University’s men’s and women’s basketball teams look forward to their upcoming fall seasons in the newly renovated Stony Brook Arena, designed by NK Architects and Popolous with Fortunato Sons Contracting Inc.
Construction on the arena started in June 2012 and cost $21.1 million. 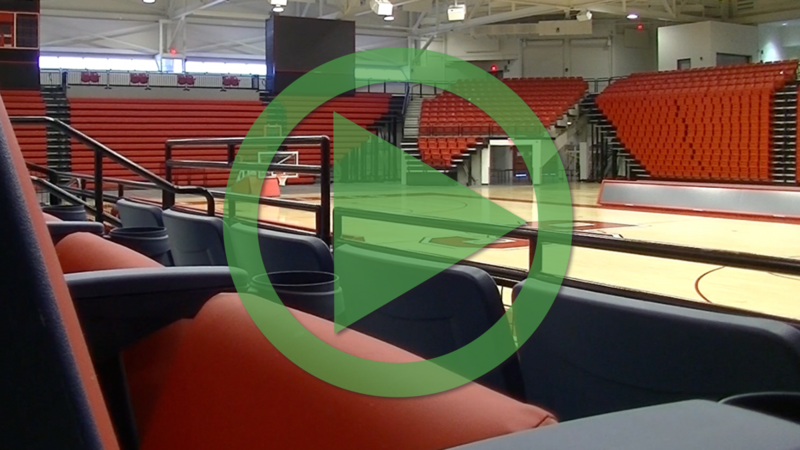 The 40,000-square-foot renovation holds 4,008 seats; three times the 1,800 seats that Pritchard Gymnasium features. Additionally, four luxury suites were built into the arena, which also features two video boards, three scoreboards, three concession stands and four men’s and women’s restrooms. “We’re excited about packing the place, our goals is to sell out every game and put 4,000 people in the seats, build a great environment and go from there,” McLeod said. As school as school starts up again in the fall, Stony Brook University will not only have a new arena, but a new athletic director as well. Shawn Heilbron was introduced as Stony Brook’s new athletic director in May 2014. Heilbron said he is excited about the new arena and is working toward growing it with more opportunities and fans. Women’s basketball player Brooke Proctor, a senior who has been playing for the school for three years, believes that the new arena was well designed. Despite the anticipation for the new arena, the players and staff expressed an emotional connection toward Pritchard Gymnasium because it has been the location of practices, failures and success. Bethpage Ballpark is home to more than just the minor league baseball team, the Long Island Ducks. 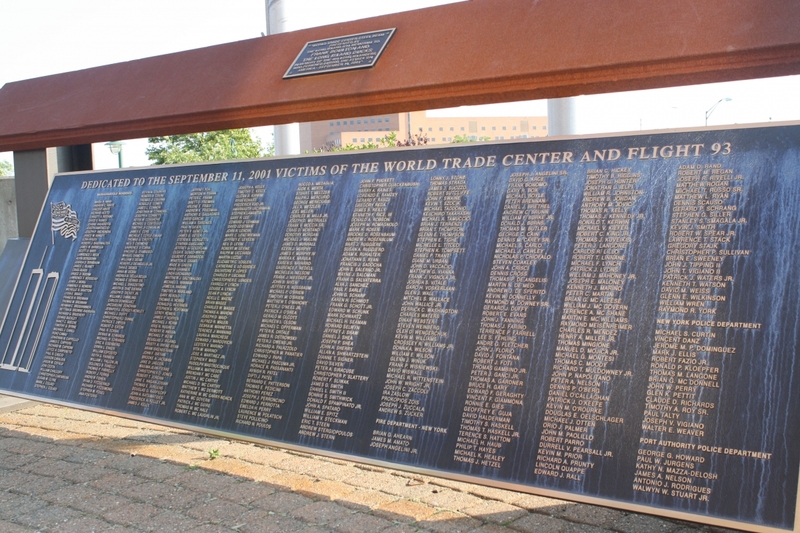 It is also hosts a September 11th memorial, with a steel beam from the World Trade Center site and a plaque, the only one of its kind to list all 490 names of Long Islanders who perished during the attacks. 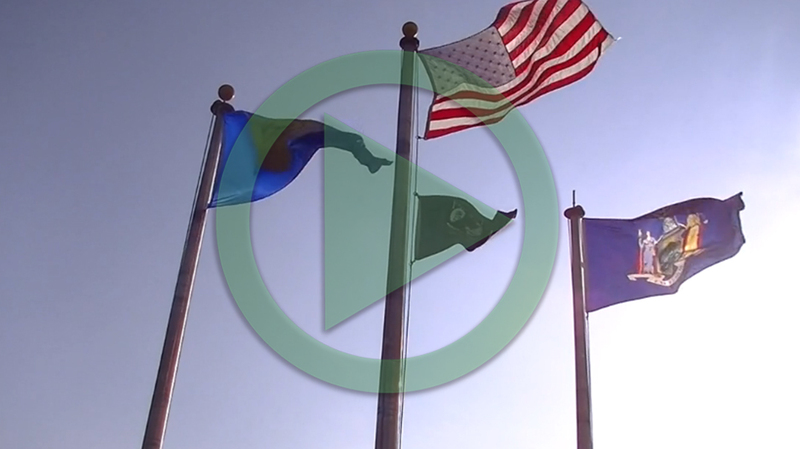 The beam was dedicated to the founder and CEO of the Ducks, Frank Boulton, as well as to the team itself, by the World Trade Center Foundation in a ceremony on Sept. 11, 2012. 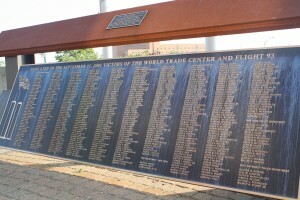 A year later, the plaque was added in yet another ceremony on the 2013 anniversary of the attacks. Not all fans realize the memorial is there, stationed outside the ballpark in front of the smoking area between the East and West Gates. Fellow Ducks fan Jimmy Falk was also unaware of the memorial. “I’ve been coming here for years and this is the first I’m hearing of it,” he said. Upon learning of the memorial, though, Falk was pleased. 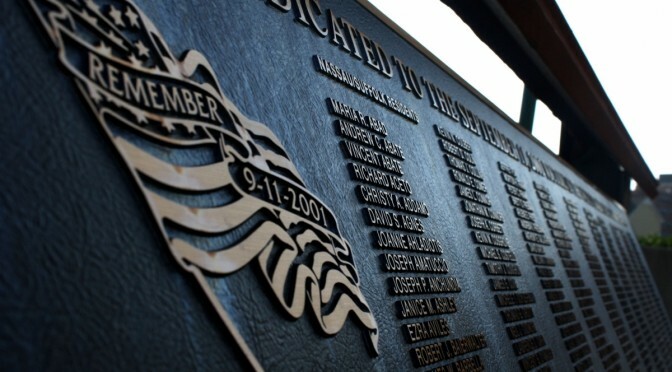 When the memorials were unveiled, the ceremonies were announced on the Ducks’ website, though since then, no additional promotion has been done. Andrew Rella is one fan that knew about the structure, and his response was positive. From the moment the Metro-Gnomes, a youth violinist group from Bay Shore, did an unusual rendition of the National Anthem before Wednesday’s Ducks game, it was clearly a night for the kids. “I’m a baseball fan myself, and I have a lot of little boys who also like baseball and I thought it would be a really fun thing to do,” Thalia Greenhalgh, teacher of the Metro-Gnomes, said. The young boys performed in front of the large audience and received huge applause. Gregory Reardon, a 9-year-old Cub Scout from East Northport, said he came “to watch the Ducks crush the other team,” and that this is not his first time being at a Ducks game. “The Ducks are gonna crush ‘em by like 10 runs,” Gregory said. Unfortunately for him, the Ducks lost, 11-3. The Lacey Township All-Stars, a youth baseball team, came to Central Islip from New Jersey where they are representing the area in the Eastern Regional tournament. “I’m feeling a win,” Keith Apostolos, a 14-year-old Lacey player. Commack North’s baseball team is participating in the same tournament. “Well, they’re [the Ducks] not winning right now, but they might come back,” 12-year-old player, Timmy McHugh said. Evan Wallis, a 14-year-old Commack player, offered an observation that could apply to the Ducks as well as his team’s upcoming game in the tournament. “We can win if we have just enough hitting and enough defense,” he said. Shawn Heilbron officially became Stony Brook’s new athletic director on July 1, but it took a lifetime of work to get him to this point. This interest in sports led Heilbron to the college of communications at the University of Texas at Austin, with the end goal of becoming a sports broadcaster. However, he changed his mind during his senior year. After graduating, he returned to Dallas and attempted to find a job with one of the city’s numerous professional sports teams. The only team that gave him a shot was a minor league hockey team, the Dallas Freeze. The job only lasted six months and he received no salary. But it gave him his first experience working in athletics. After his job with the Dallas Freeze, Heilbron went on to a job at Southern Methodist University (SMU), which involved him working to help market the college’s sports. Heilbron greatly enjoyed this job. “I loved the energy of the college campus, I loved the fact I was involved not just in one sport but multiple sports,” he said. He then went on to work at Pinnacle Trading Cards, a private sports cards company, but returned shortly to SMU as director of marketing for athletics. This was the point when Heilbron confirmed that he wanted to work in college athletics. “I loved working with student athletes and realized that we were doing was trying to change lives student athletes’ lives better,” he said. After eight years at SMU, in 2006, he accepted a job at the University of California Los Angeles (UCLA) as associate director for development. In this capacity, he oversaw most of the fundraising for UCLA athletics. However, living in Los Angeles was a hard adjustment for Heilbron, his wife and their three children. So in 2011, Heilbron took a job at Oregon State University as senior associate athletic director. He oversaw fundraising there as well, and helped to raise millions of dollars for Oregon State’s sports programs. His family enjoyed living in Corvallis, the small, quiet town where Oregon State is located. But they missed the excitement of living in a big city. While in Corvallis, Heilbron realized that his next career move needed to work not just for him professionally, but for his family as well. The opportunity he was waiting for came earlier this year, when he received the offer from the Stony Brook. Heilbron knew the job was right for him professionally. “I knew Stony Brook was incredible school with an athletic department that was growing and accomplishing great things,” he said. He also knew that its location on Long Island and being near New York City would make it great for his family. As a result, Heilbron decided to accept the position at Stony Brook and begin not only his tenure as the university’s athletic director, but also the next chapter – for himself and his family. Ducks v. Bluefish: Real rivalry or quixotic quackery? Long Islanders flocked to Bethpage Ballpark for Wednesday night’s Ducks game against Bridgeport, but is there a cross-Sound rivalry? “They have one?” said Ducks fan Jonathan Softy. “I don’t know how much of a rivalry it is, being that Bridgeport doesn’t draw much. I’d like to see it improve, but I don’t know if it will,” said Dan Erickson. There was a limited number of Bluefish fans and a lot of cheerful Long Island kids and adults. One Bluefish fan did have an idea about why there so few in the crowd. “Getting people from Bridgeport to here is pretty tough. With the ferry it is not exactly easy,” said Dan Cunningham, a Bluefish fan. The Ducks have not had a good season but that doesn’t take away from the crowd and energy from the ballpark. The Ducks have endured an 11-game losing streak as of July 23 and fans believe the players are feeling the pressure. “Any time you have a losing streak you start pressing, I’m sure they feel it ,” said Erickson. The Bluefish don’t draw at home as well as the Ducks. “Maybe half if they are lucky,” said Cunningham. The ‘rivalry’ between the Ducks and the Bluefish is not one to break out into chaos. Ducks fans said they don’t trash talk and they like to have fun with their family and enjoy all the aspects a Ducks game has to offer. 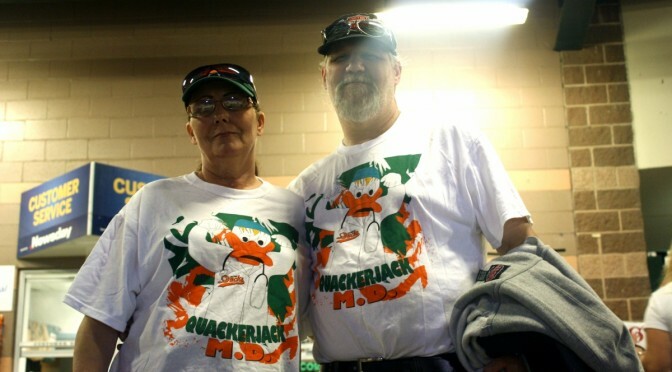 Ducks fans do come to the games for the entertainment, enjoy the team and the sport, but some have a die-hard obsession with the minor league team itself. “I eat, sleep and breathe Ducks, so when I wake up in the morning I just think Ducks all the time, I quack randomly,” said Brian from Patchogue, who asked that his last name not to be used. “[The Bluefish] are not our kind of team,” added another fan, Jordan Buffy of Selden, who embraced the rivalry with Bridgeport. So did Brian. “Bluefish? I don’t like seafood,” he said. Shawn Heilbron already has big plans as the newly hired athletic director of Stony Brook University. The university has made huge strides in athletics in recent years, climbing from Division III to Division I athletics, and Heilbron said he plans to continue building on this progress. Keeping the students’ academic success in mind, Heilbron said his goal is to enhance football and basketball to bring in more revenue and more championships for all sports, including women’s. Heilbron stresses the idea that his student athletes will be ready for life after college. His coaching staff is on board with this idea. And Heilbron has a strategy to achieve this multifaceted strategy. “I am committed to all of our sports having that same heightened experience,” Heilbron says, adding that to do this, he needs to raise money through the lucrative sports – football and basketball. It will take Heilbron’s marketing and communications background to accomplish this goal. Building up athletics programs will include boosting women’s sports. Increased revenue from football games will improve athletics all around, Heilbron says. “May in the Summer,” directed by Cherien Dabis, tells a cliché story of May (Dabis), a soon-to-be bride who reevaluates her life after finding out that what she wants isn’t what she needs. Her overly religious mother, Nadine (Hiam Abbass), is the barrier between her and the perfect wedding. Her two sisters provide support for the stressed-out bride, and along the way, they grow closer, as does their appreciation for each other. The film is properly laid out, with a less than consistent plot line, and fails to deliver smooth transitions and excitement. In the beginning, the audience is exposed to an array of events that set up the major conflict later in the film. For instance, Dabis is seen arriving in Jordan via airplane to plan the wedding and visit her family. As suggested, the religious bumper sticker on the family car conveys a sense of constricting rule by the mother, Nadine. The car ride to the house also sets-up information the audience must know: Nadine was cheated on by her husband (now hated by Dabis and her sisters), Dabis is having communication trouble with her hubby, and the entire family seems slightly hostile towards each other. The scene cuts abruptly to the family standing in the house and eating dinner. It didn’t, in the least, contribute to the story, but it definitely built the setting. Later on, Dabis learns that her mother will not be attending the wedding for religious purposes: the husband, Ziam (Alexander Siddig) is Muslim, but Dabis was raised as a Christian. The plot suddenly gets deeper in a short amount of time: Dabis rekindles her shriveled relationship with her dad, the mother actually still loves the dad, and the sisters encounter their own troubles regarding both sexual orientation and loyalty. Along the way, the audience could easily get confused, and a conscious effort must be made to actually keep track of what’s going on. Eventually, Dabis realizes that her needs are not being met by Ziam, who is constantly too busy with his work to pay attention to his fiancé, and she, following in her dad’s footsteps, has an affair with a friend. The wedding gets called off as she confronts him with the conflict at hand, and the film ends with the audience wondering what becomes of the previous affair: Will she marry her friend? Will she change her mind? What becomes of Nadine and her ex-husband’s relationship? Nothing, in reality, is truly answered. Overall, the movie had a sloppy ending and a poor story line.